Feel like creating magic moments this winter? Or watching the colorful Northern Lights from the comfort of your Glass Igloo or Ice Hotel? Give yourself a treat and spend the most wonderful time of the year in enchanting Northern Europe. Read on to find out the best places to spend the winter holidays in Scandinavia. If an unforgettable winter fairytale trip is what you’re after, Finland is the destination for you. No place on planet Earth has the authentic holiday spirit like this Scandinavian country, as it boasts not only reindeer farms but the official residence Santa Claus in Rovaniemi. 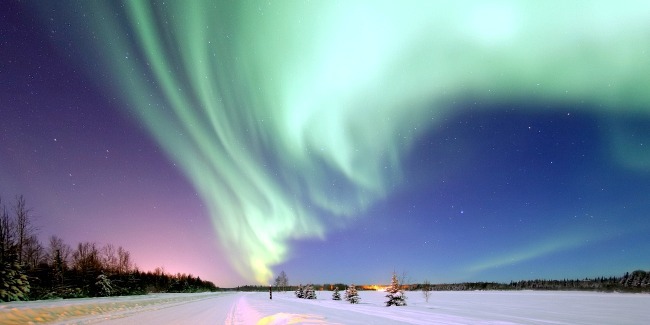 What is more, the Ivalo region is home to the Sami people and has one of the most scenic displays of Northern Lights. A spot for Norway is always saved on any globetrotter’s agenda as this northern beauty is equally worth seeing any time of the year. Traveling to Norway in the winter has many bright sides, especially when combining a land tour of Oslo, Bergen, and Alesund with a cruise to the Lofoten Islands. Crossing the Arctic Circle to the land of incredible wildlife and petite fishing villages among high mountain peaks and steep backdrops of the fjords is a journey worth taking. The perfect arctic getaway is topped with a stay at the Snow Hotel. Going sightseeing in Sweden's dazzling Stockholm, adorned with all the holiday illumination and Christmas markets is a memorable experience in itself. Yet Kiruna is the town that holds the most sought after treasure for travelers, the famous observation platform for watching surreally breathtaking Northern Lights - the Abisko Aurora Sky Station. Visiting a Swedish sauna and spending a night in a genuine Ice Hotel can also compliment any winter vacation to Scandinavia. For those who are short on time when it comes to exploring Scandinavia this winter, touring Iceland is a perfect solution. What Christmas gift can top relaxing in the Blue Lagoon’s hot geothermal springs? Moreover, the main landmarks of Reykjavik and even a Northern Lights cruise can be included in a trip as short as 4 days! It can be tricky making a choice between which Scandinavian countries to see in the winter, so why not combine? As an option consider a mixed Swedish - Finnish Lapland adventure with snowmobile safaris, kick-sled and husky-dog riding, visiting Santa and an ice bar in Snowman World. To top it off living in Glass Igloos is a "must" experience, which are usually booked out by early fall due to high popularity among travelers. Northern Europe is a perfect place to spend the winter holidays, promising unforgettable adventures and ideal Scandinavian winter getaways.